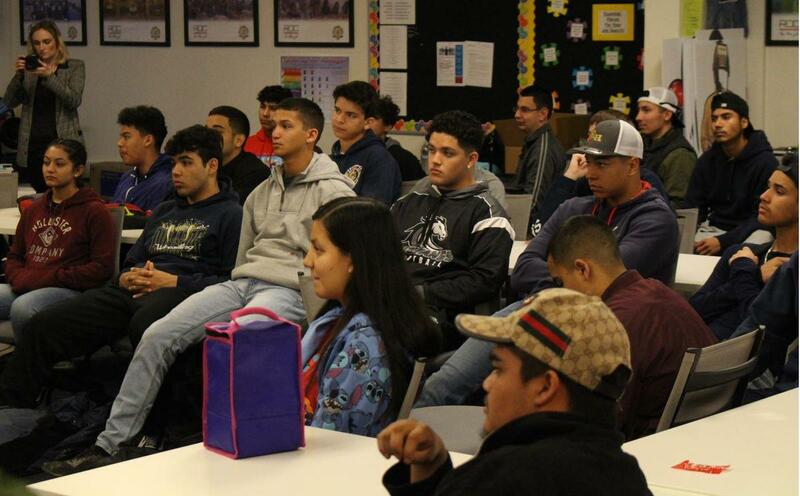 Each winter, the Jim Burke Education Foundation accepts 32 high achieving, high school juniors to participate in the Ford Dimension and Dream Builders leadership program through the end of their senior year. The 32 students then divide into four teams of eight, each taking on a community service project they deem to be of high local importance. 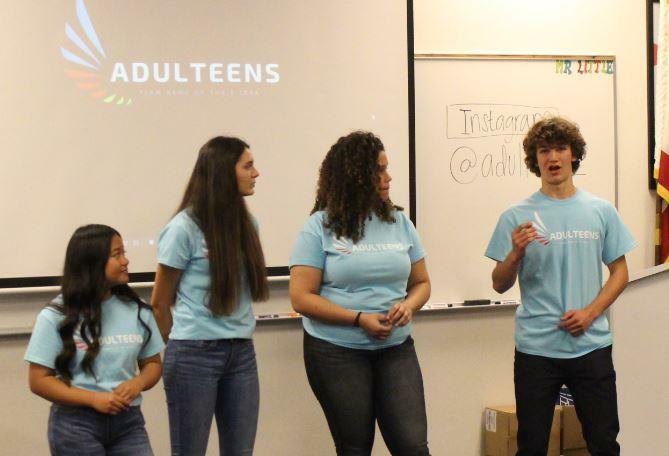 With this in mind, one of the teams, Adulteen, unveiled their project and the fruits of their labors to a 185 ROC students in a series of eight 30-minute presentations delivered through the day. 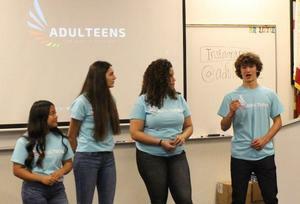 Adulteen's mission is to help high school students bridge the gap between high school and college/career. They do this with a series of fun and informative videos they script, film, direct, edit, and star in. With KHSD's highest number of seniors, it only made sense for Adulteen to come to ROC to talk about their project and show their videos. ROC students saw video clips on everything from applying for credit to changing a tire during the brief presentations. Each Dream Builder introduced themselves to start off the day and the activity ended with both a Q&A session and ROC students getting to talk about ideas for future videos they'd like to see produced. Congratulations to Adulteen and thank you for adopting ROC.